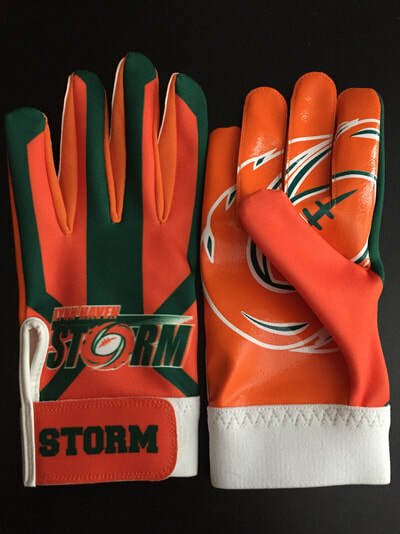 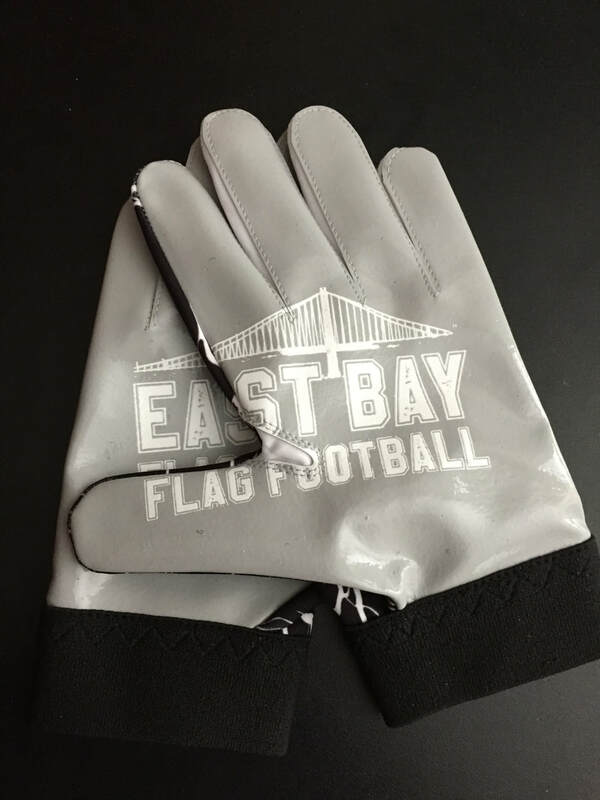 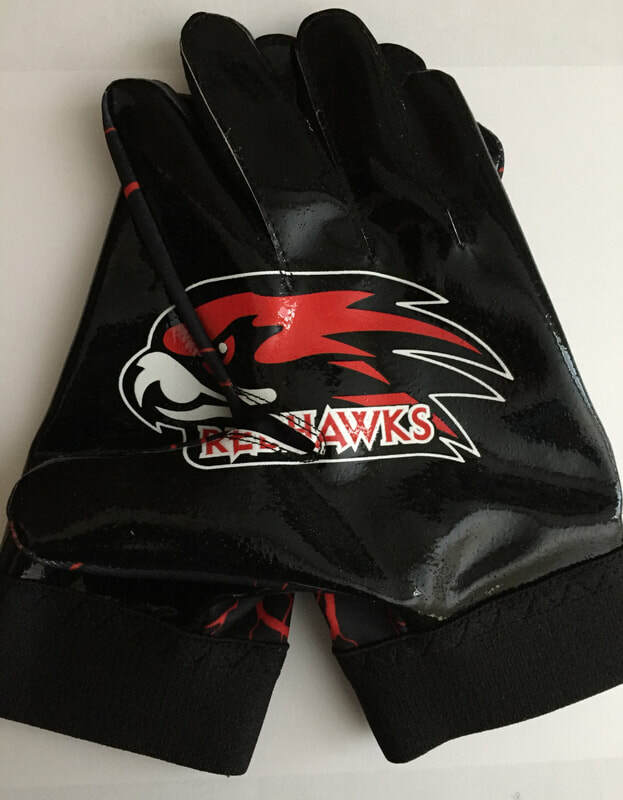 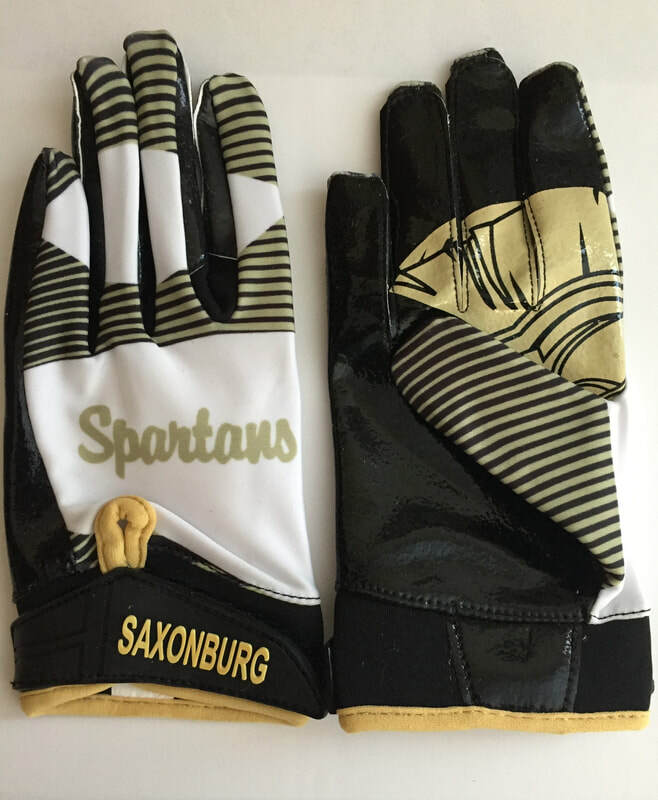 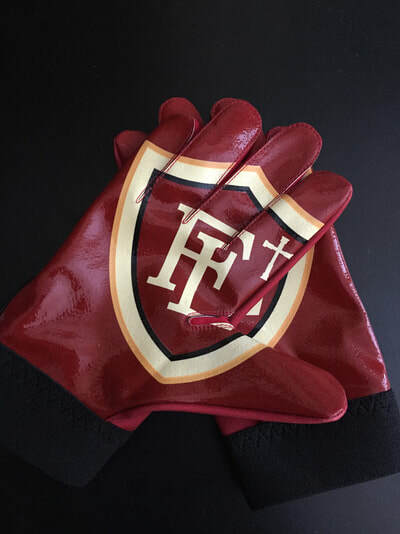 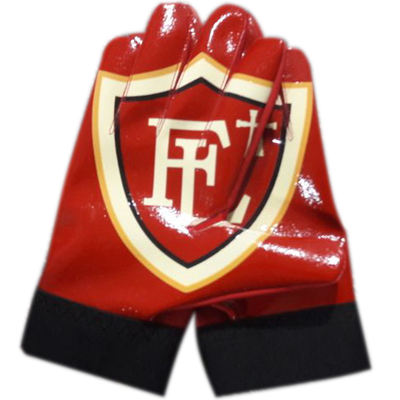 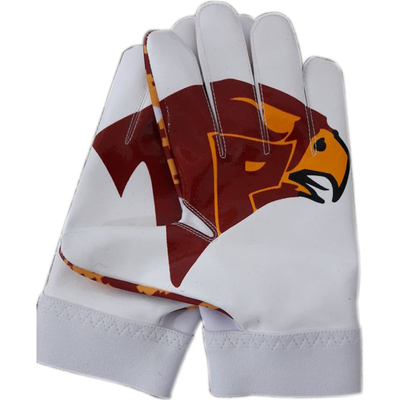 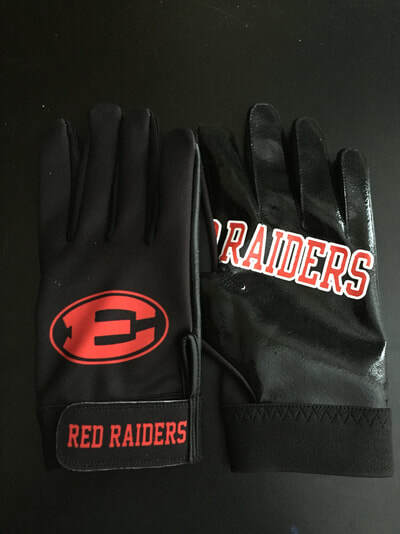 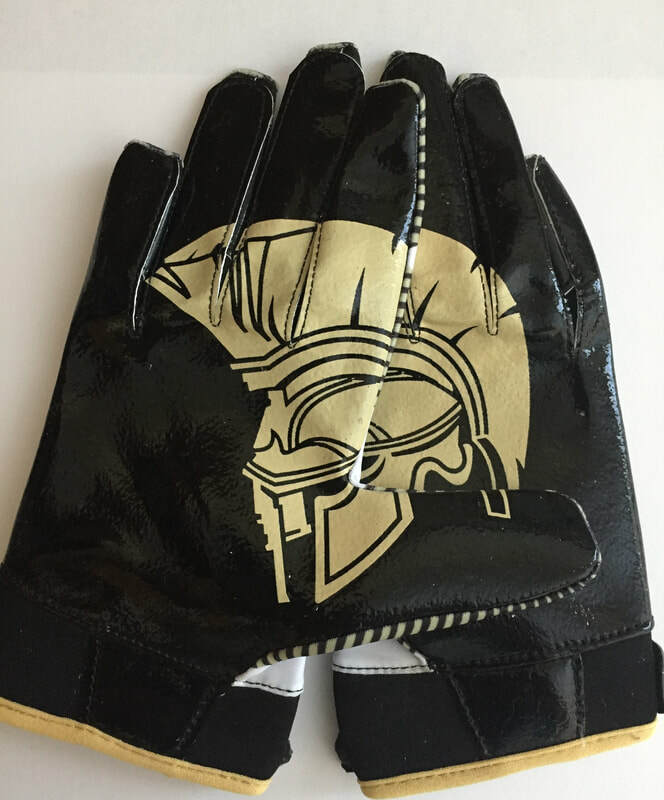 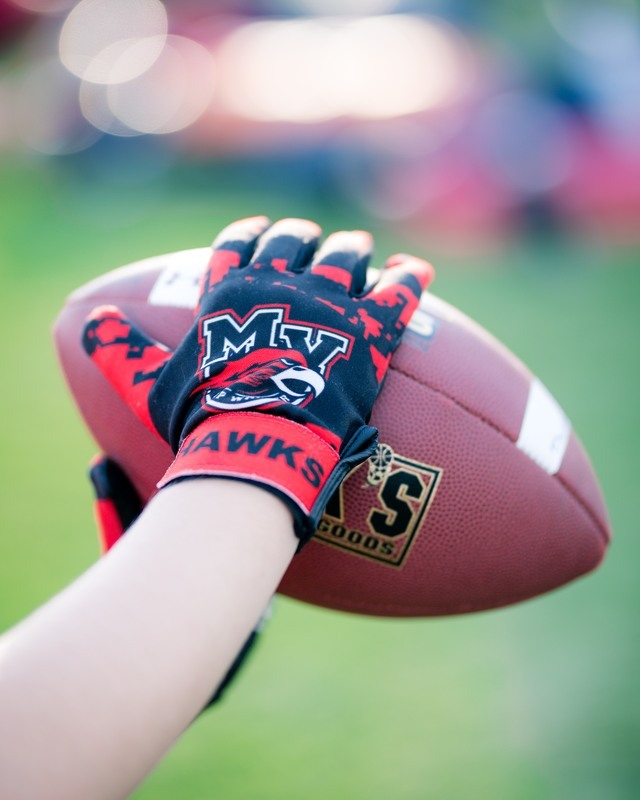 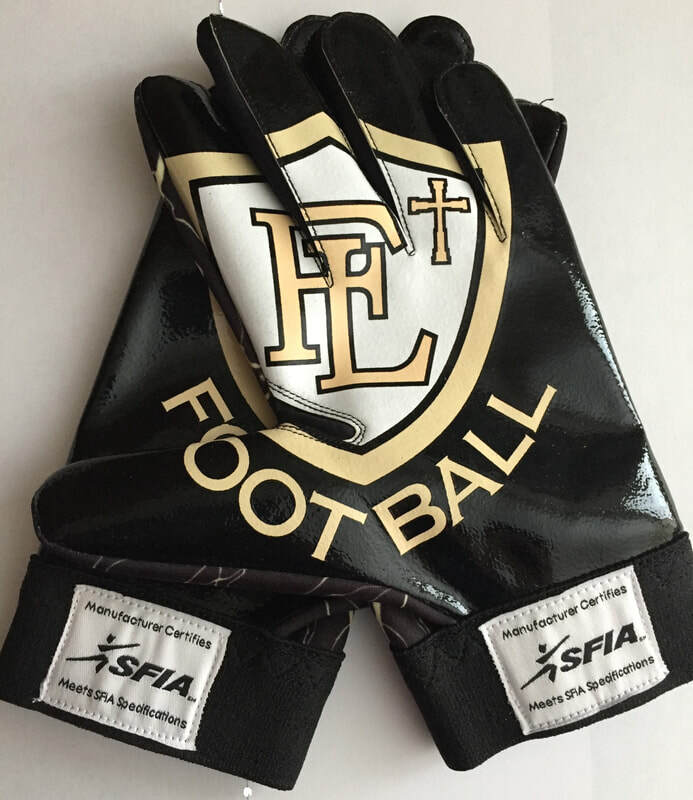 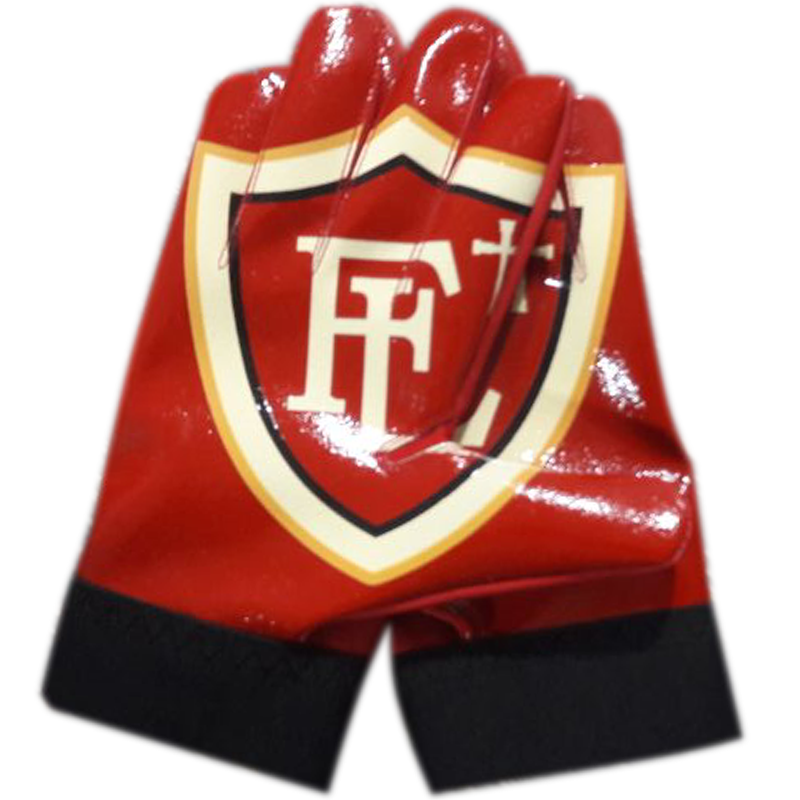 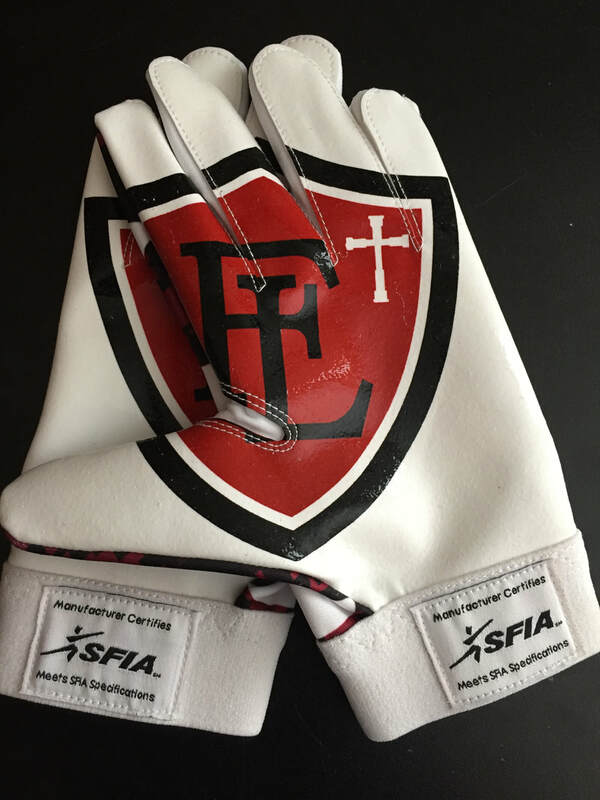 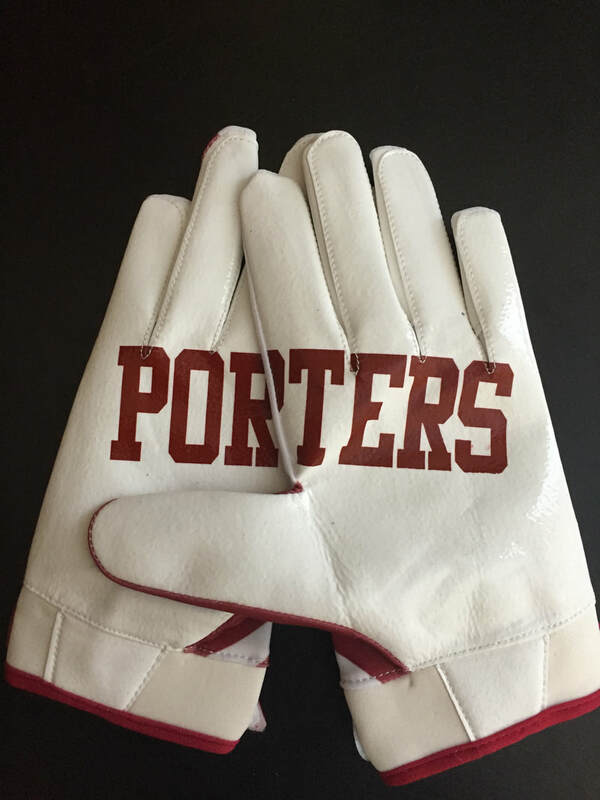 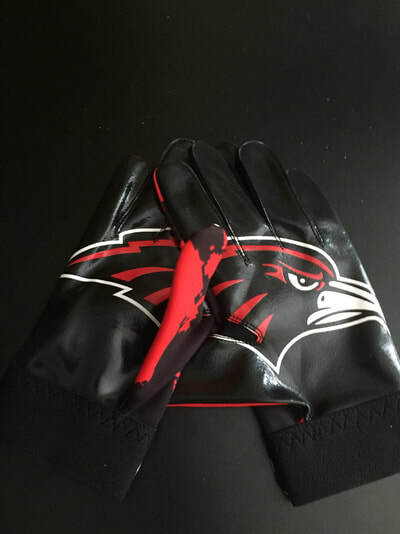 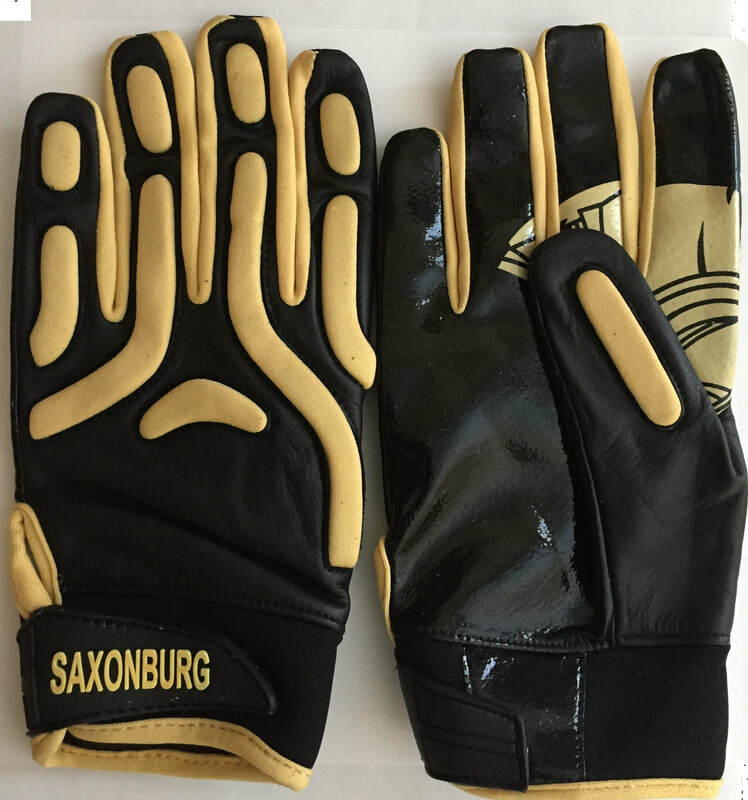 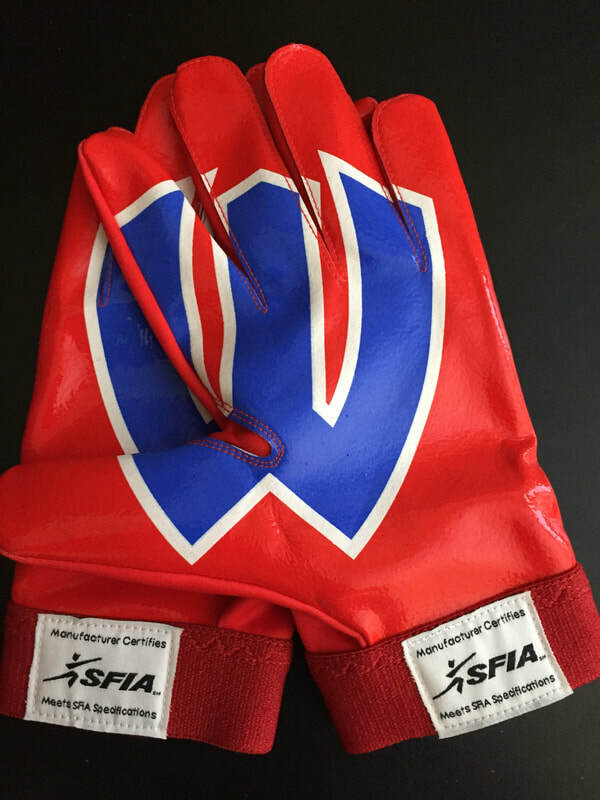 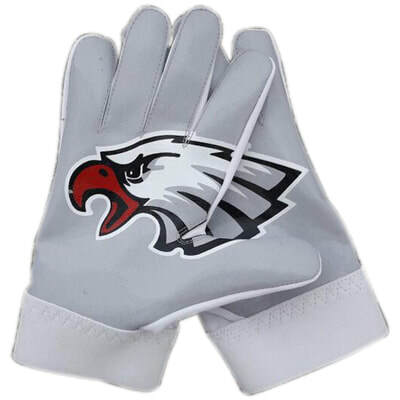 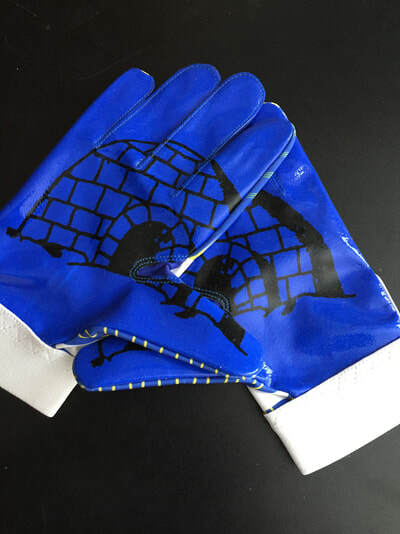 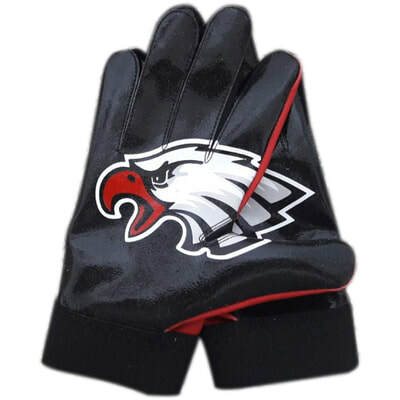 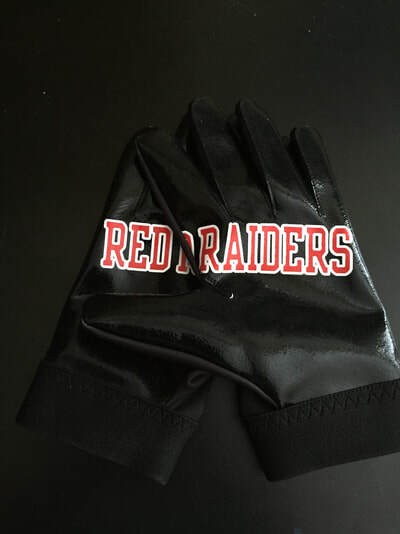 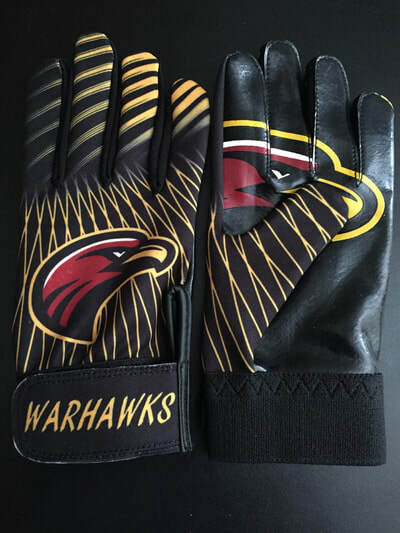 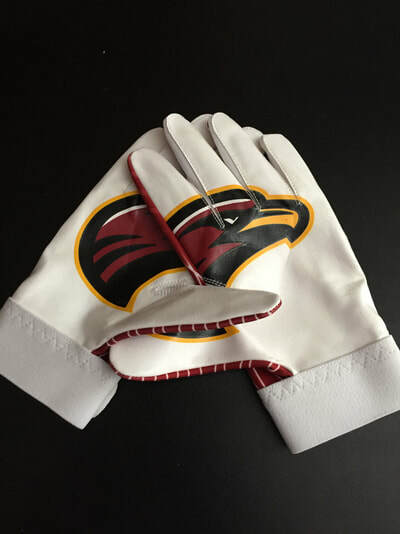 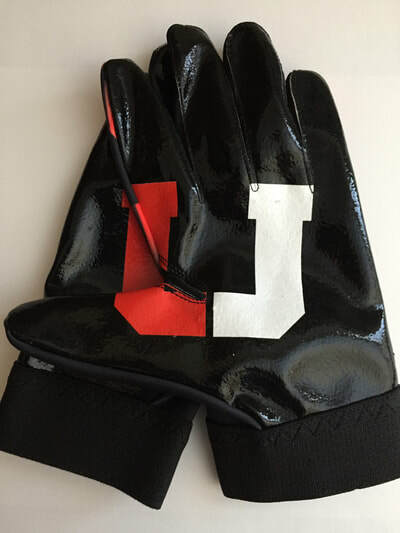 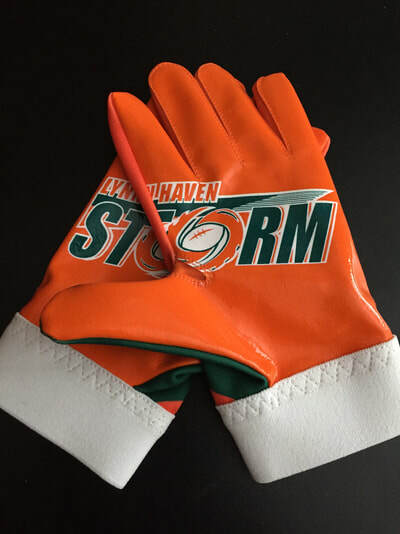 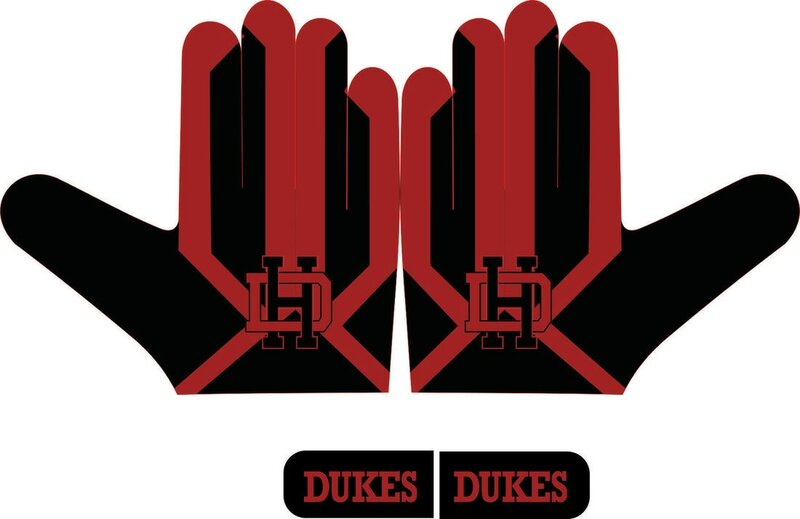 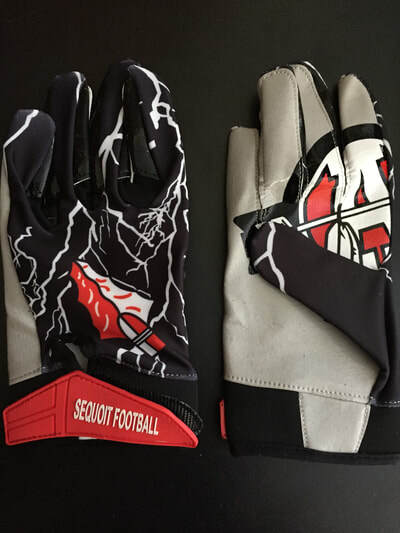 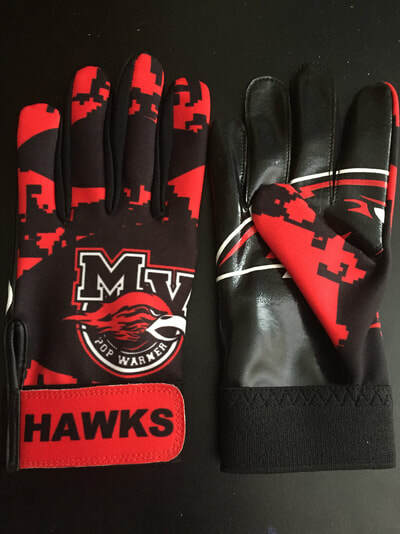 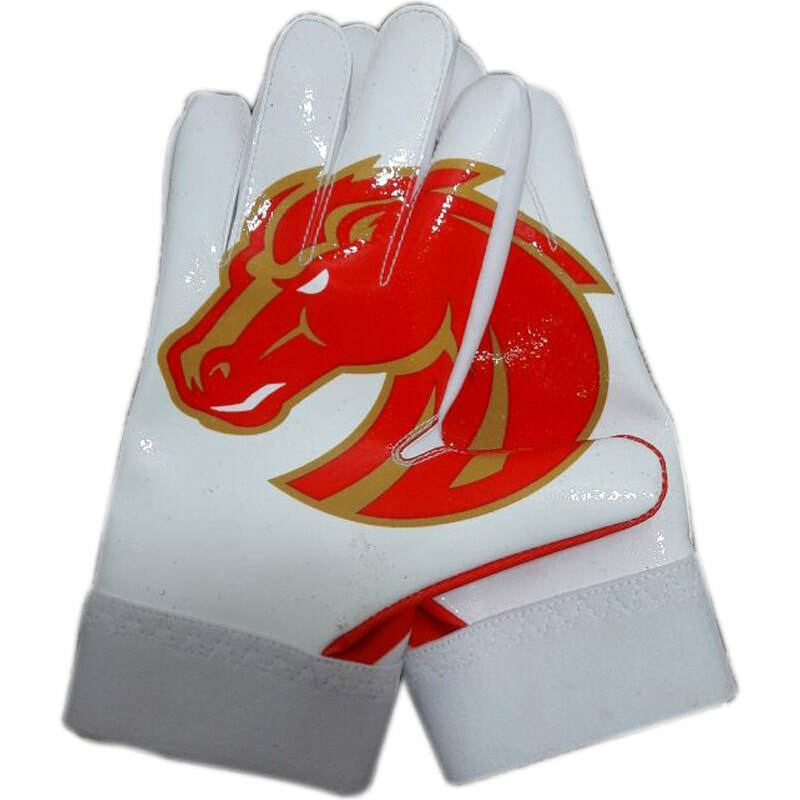 Our top-of-the-line football gloves are a MUST for every team! They offer superior abrasion protection while keeping hands warm and dry in inclement weather. 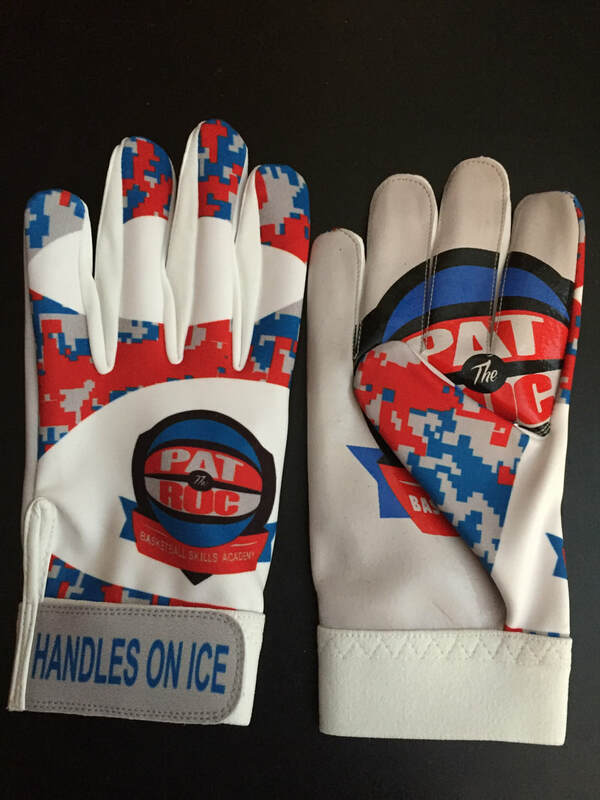 But what puts them over the top is our GRIPTAK palm material. 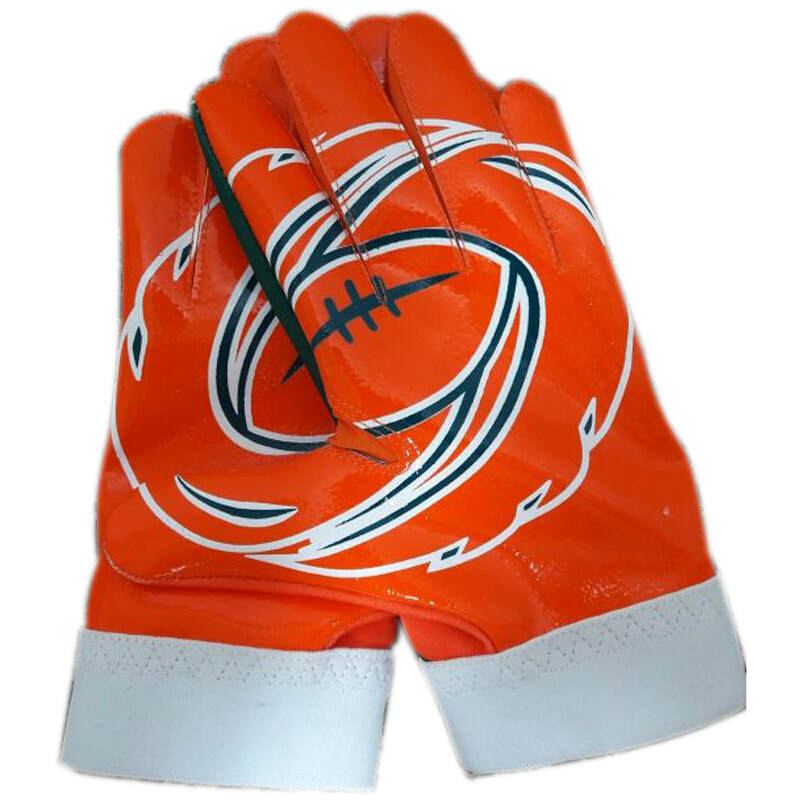 The silicone palm and fingers are just the right amount of tackiness to reduce spin as the ball enters the hands and provide maximum grip. 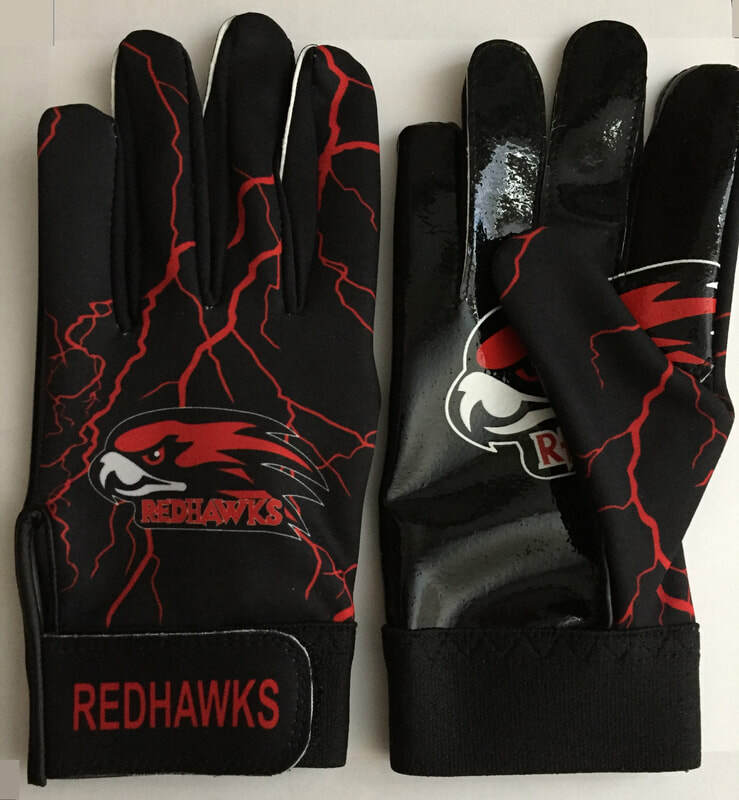 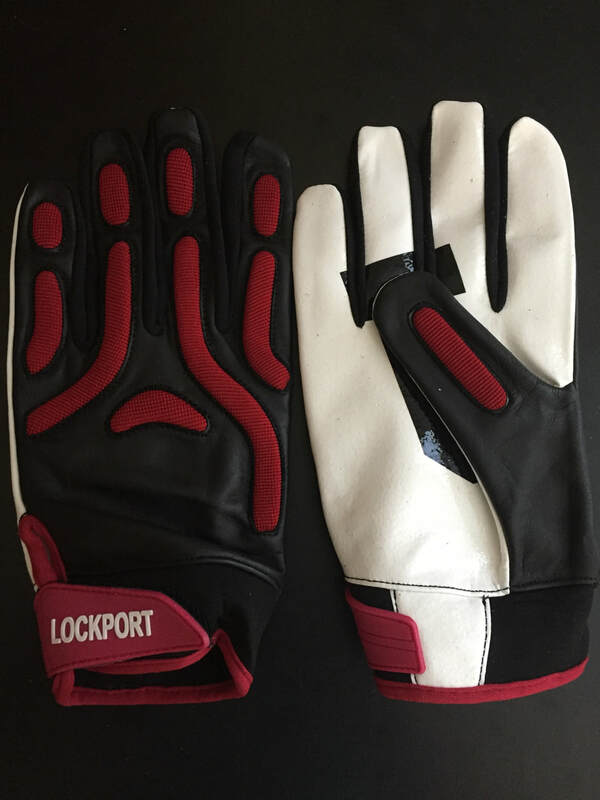 Flexible, breathable and durable material on the glove back is moisture-wicking and lightweight...not cumbersome like other gloves. 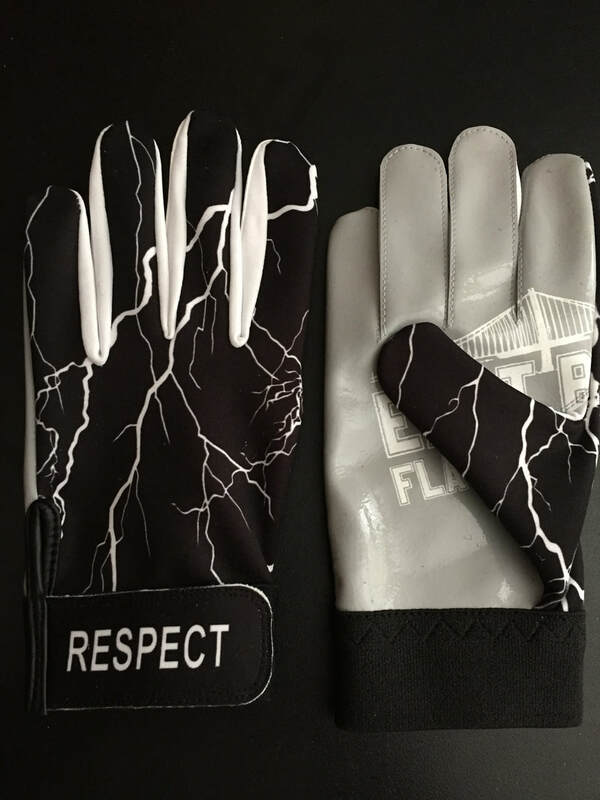 Yet they hold up to the roughest combat. 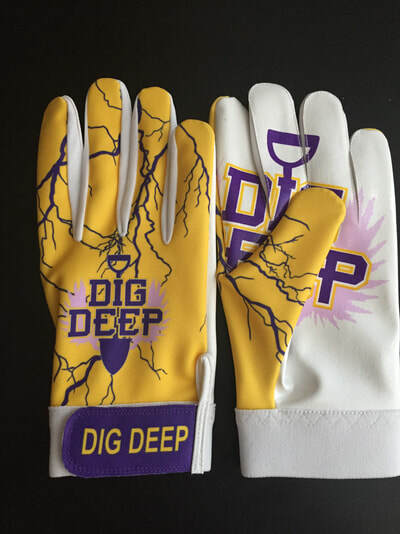 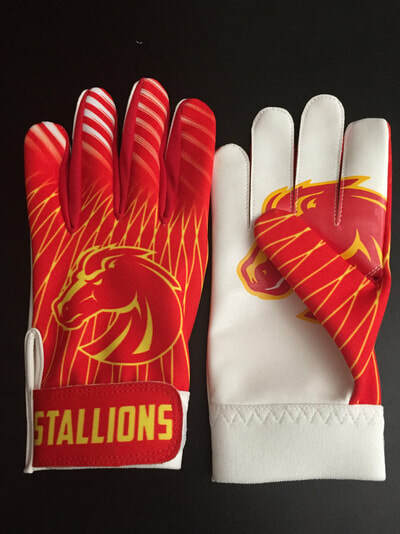 Professionally designed with your team's colors and logo, looking so intense you've practically already won the game when you walk onto the field! 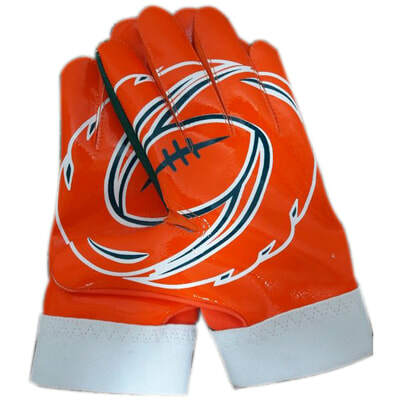 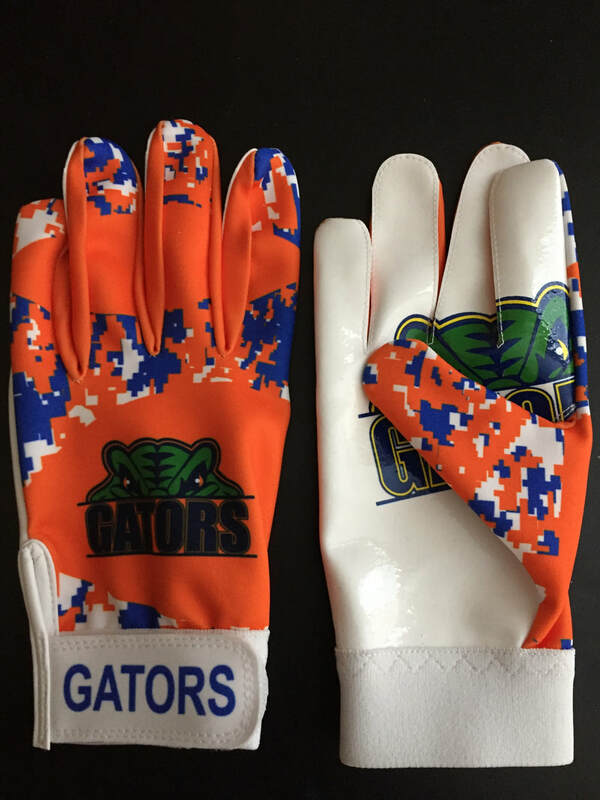 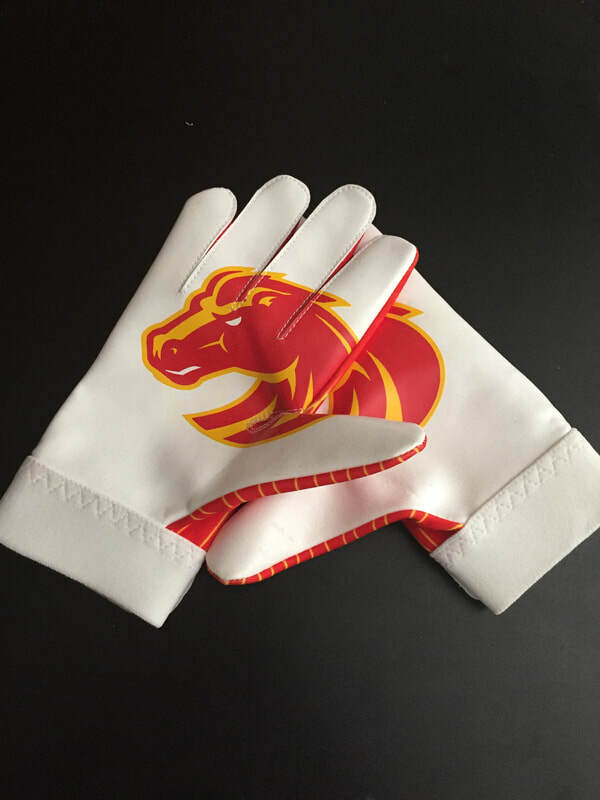 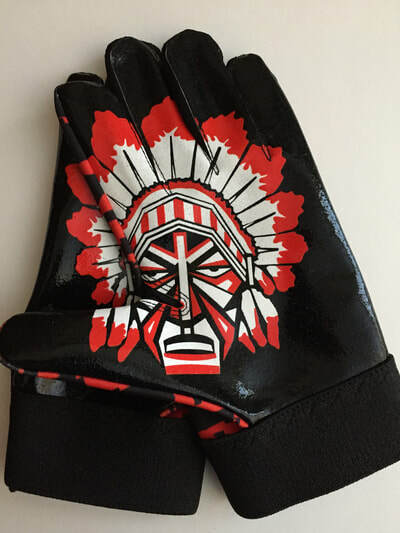 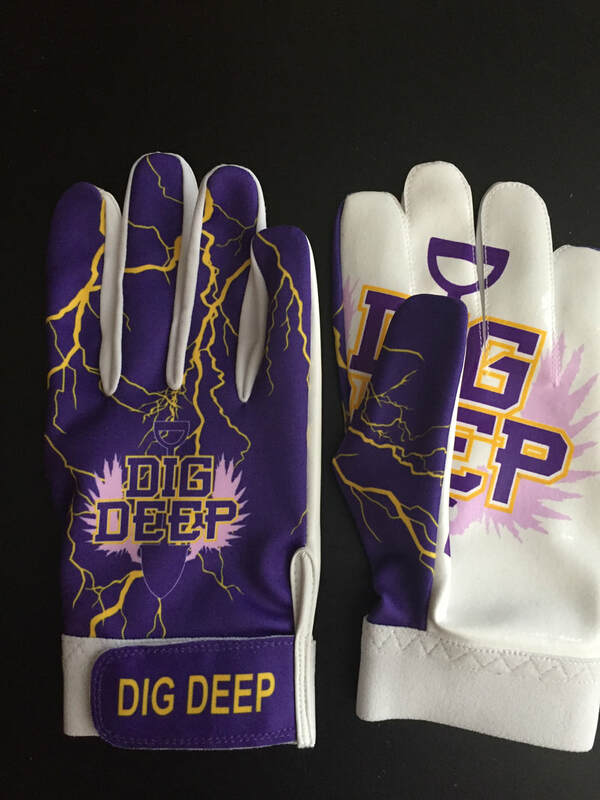 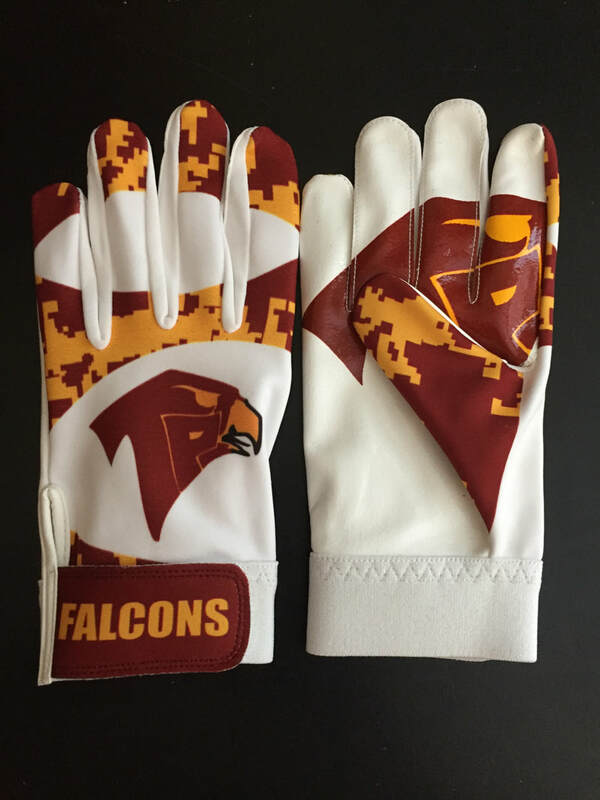 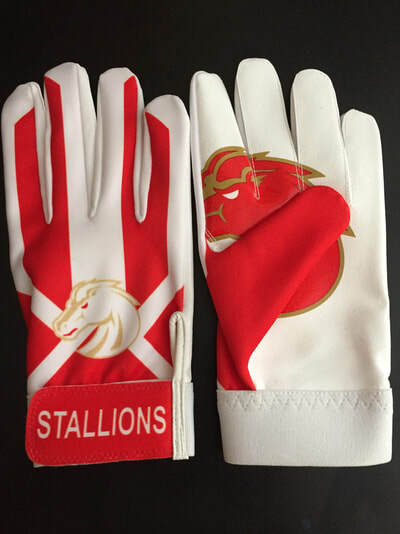 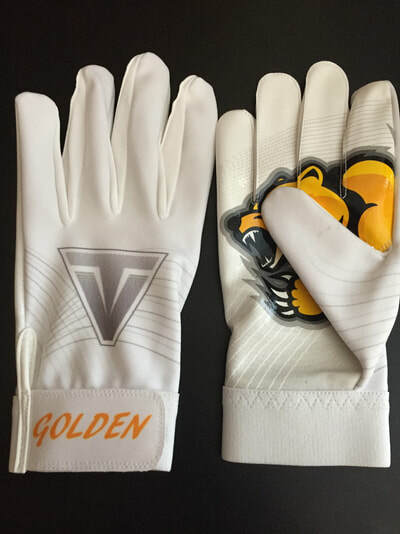 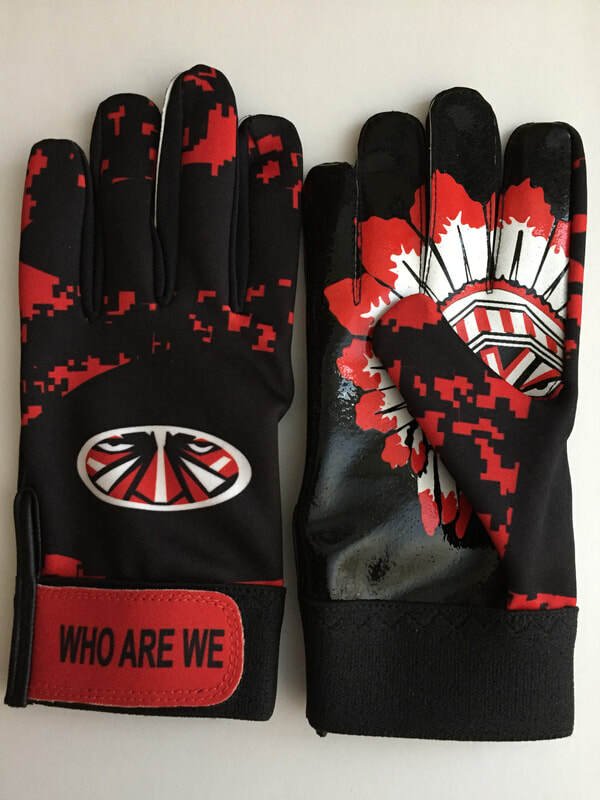 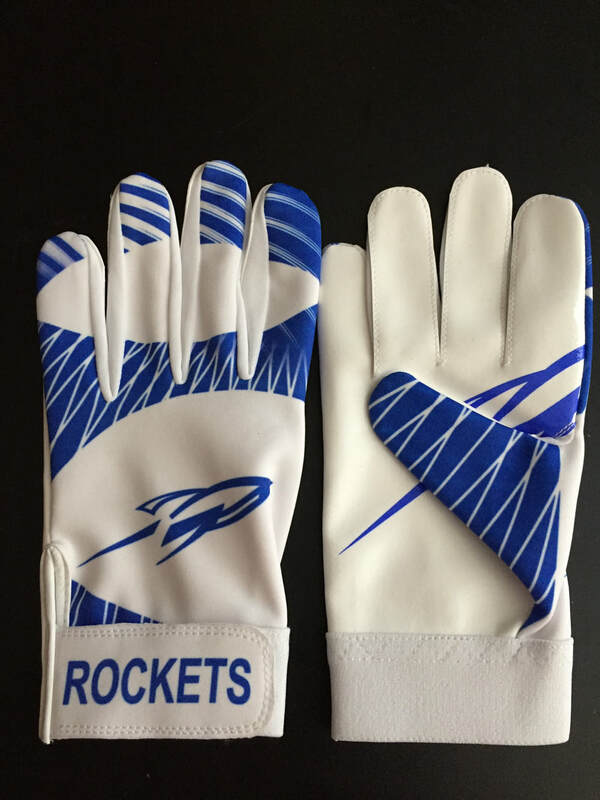 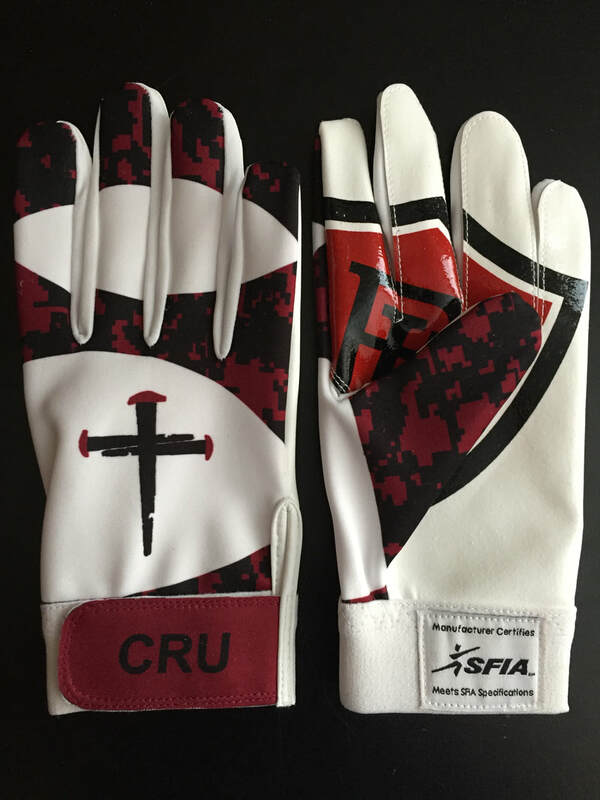 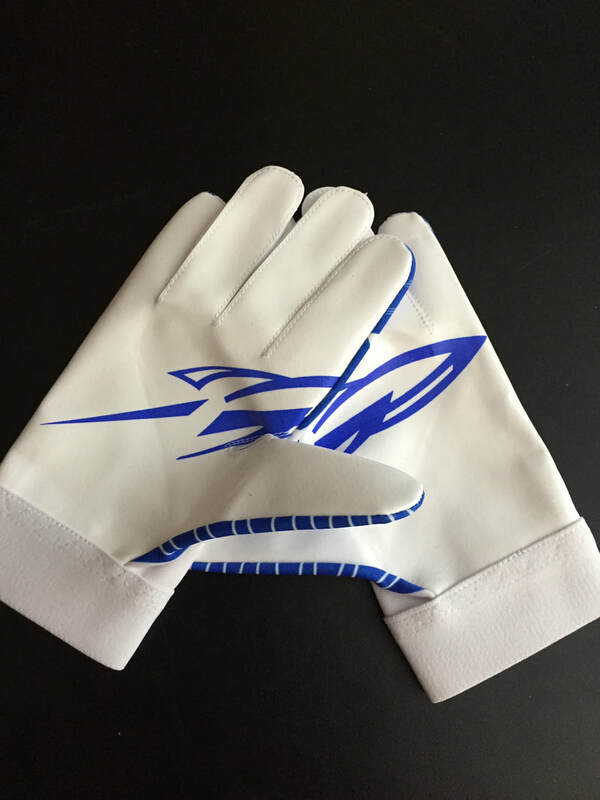 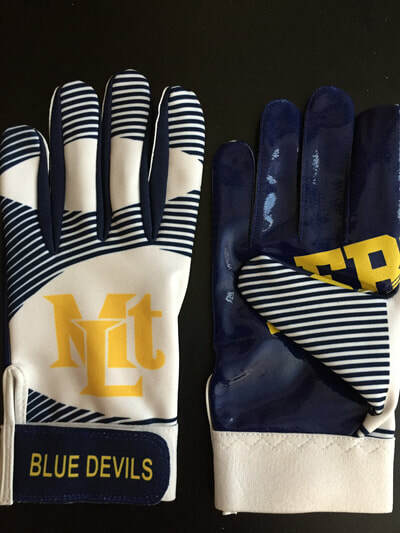 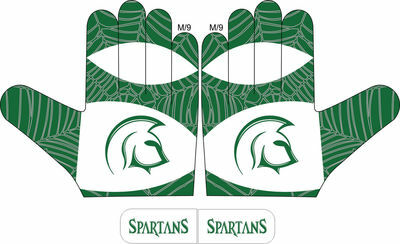 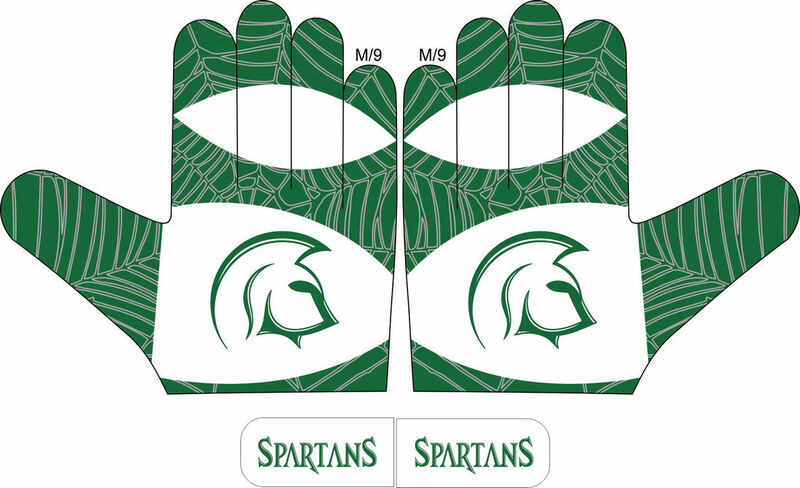 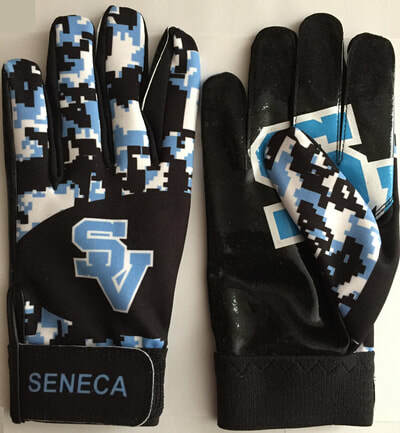 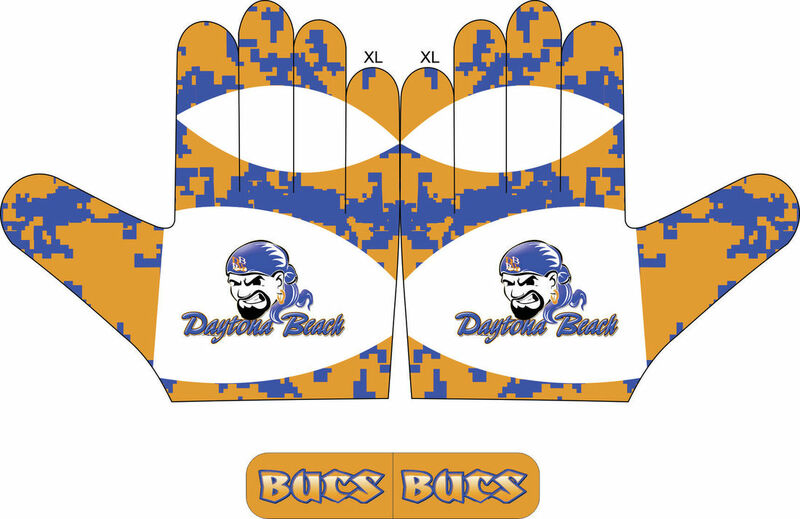 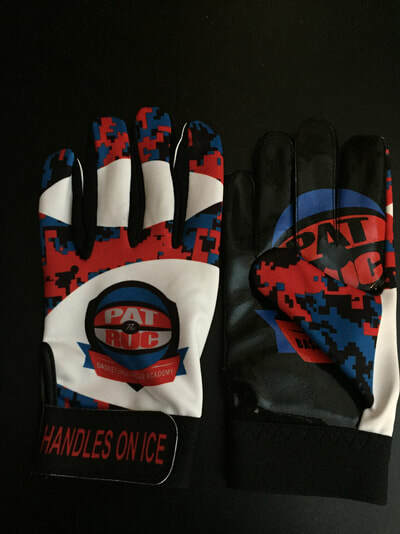 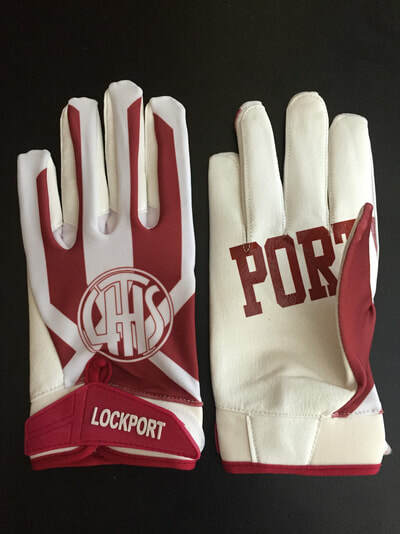 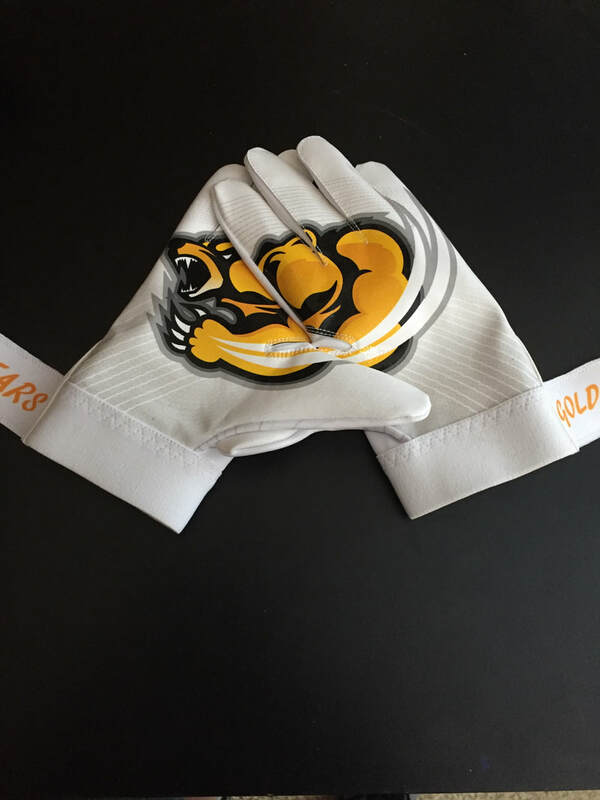 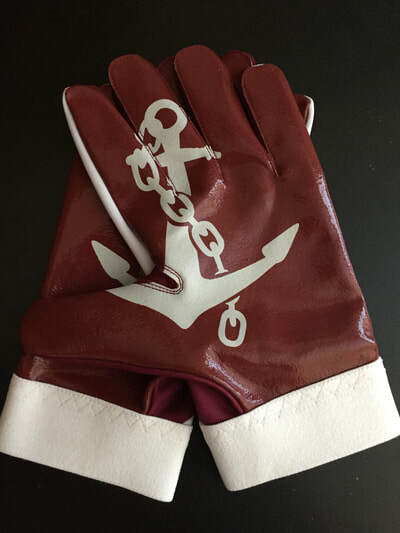 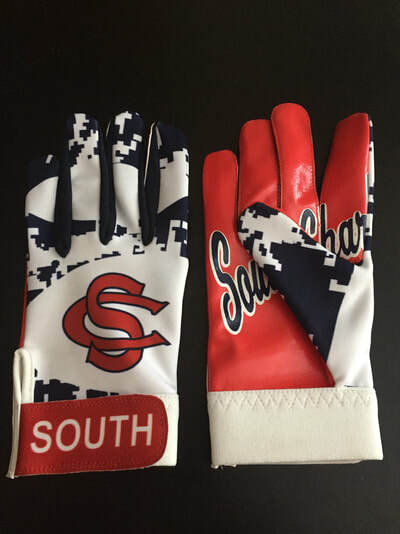 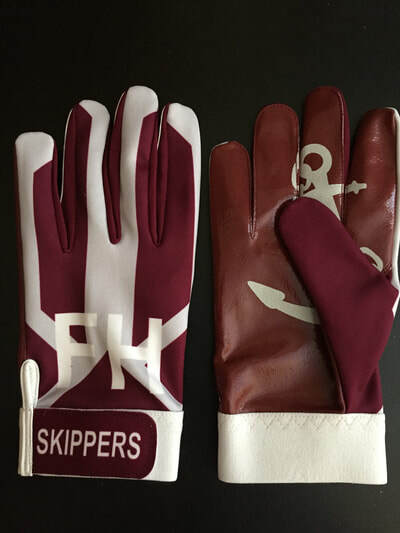 We'll create custom gloves for your team AT A PRICE NO ONE CAN MATCH!!. 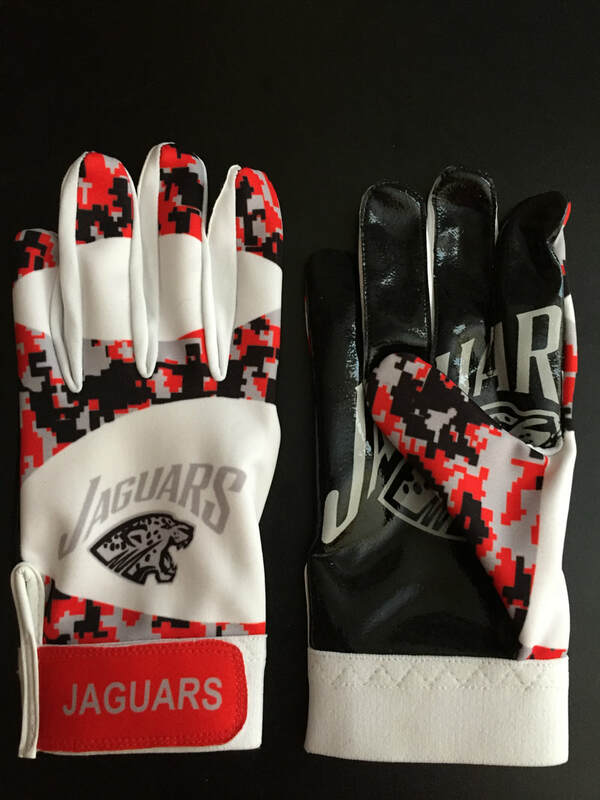 You can even choose to make them a fundraiser. 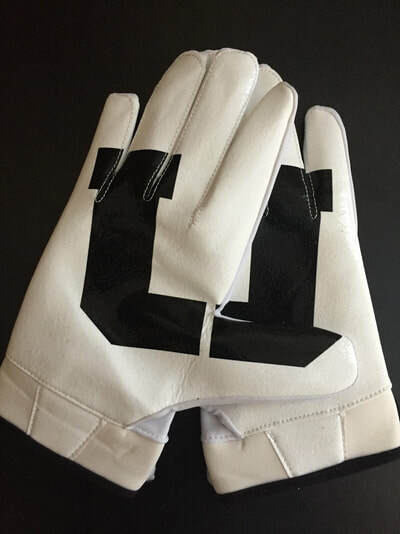 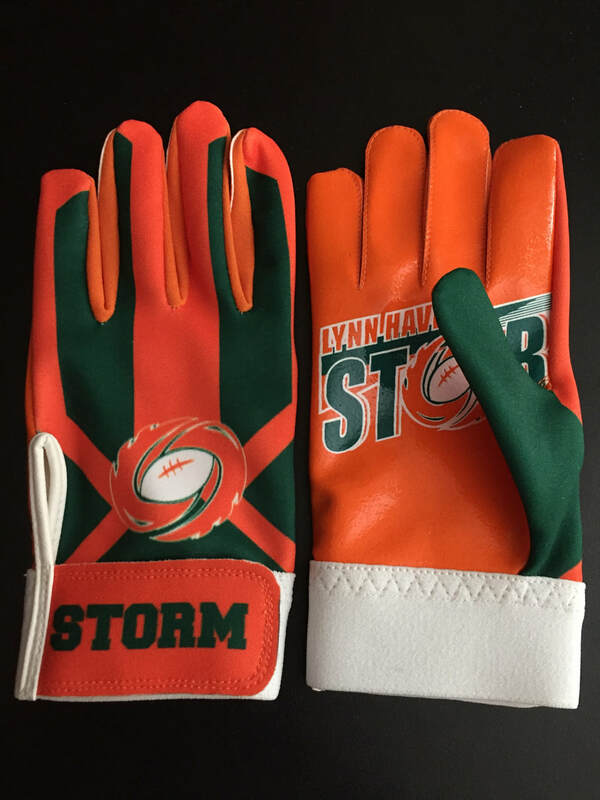 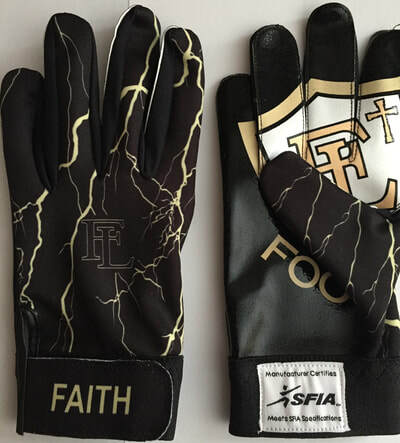 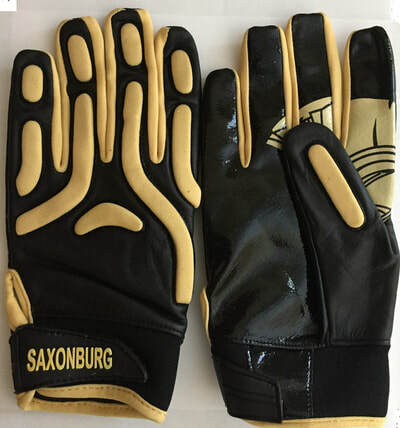 The players get the best gloves money can buy at a low price, the team spirit soars because they look and feel great, and their performance goes through the roof. 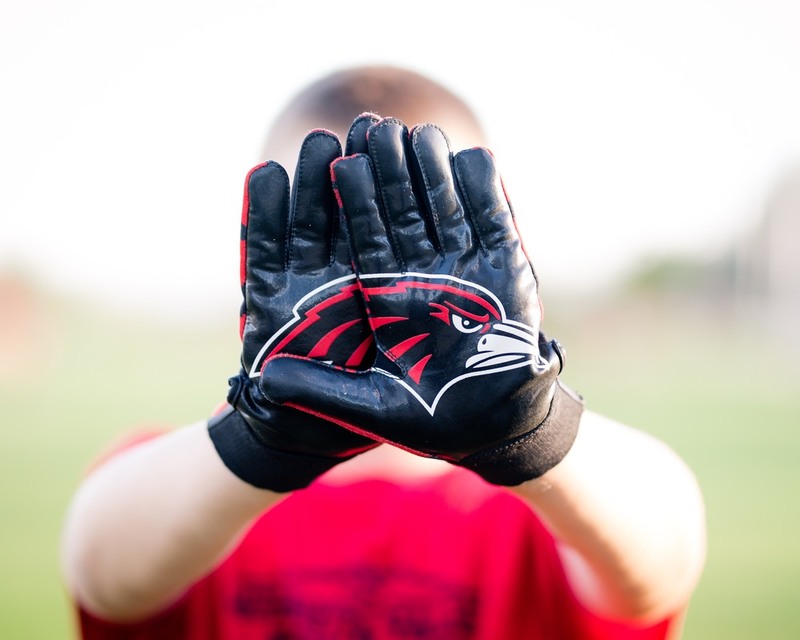 It's a literal, "WIN-WIN". 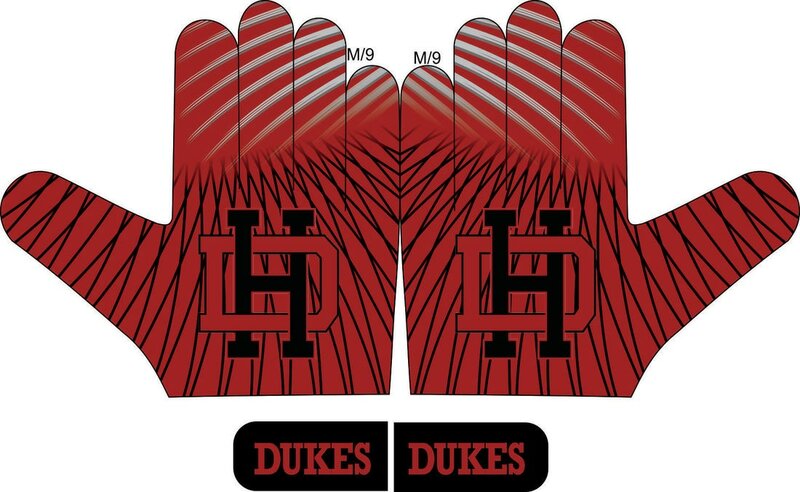 Choose from any of these ready-to-go designs or give us your ideas! 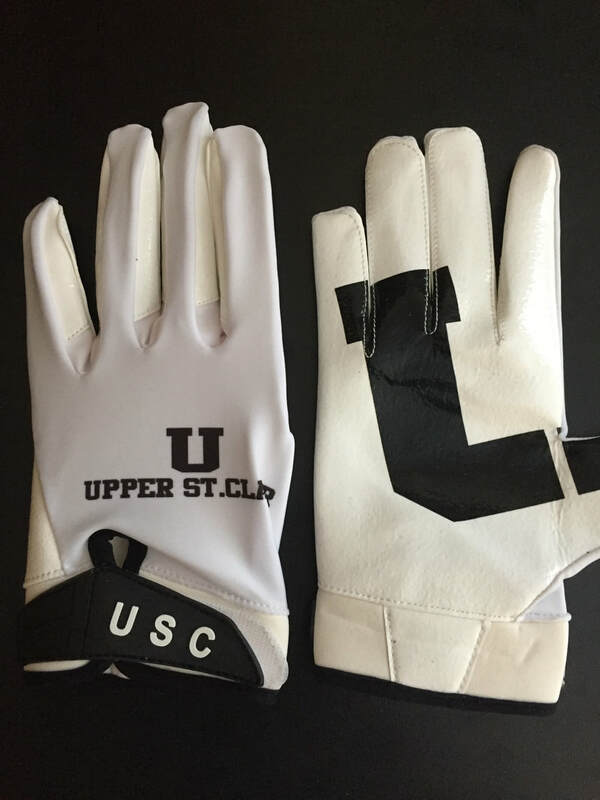 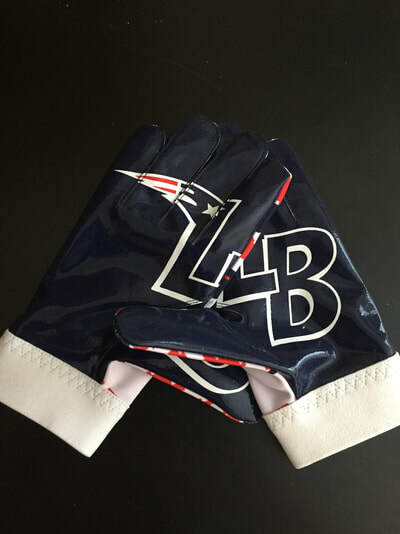 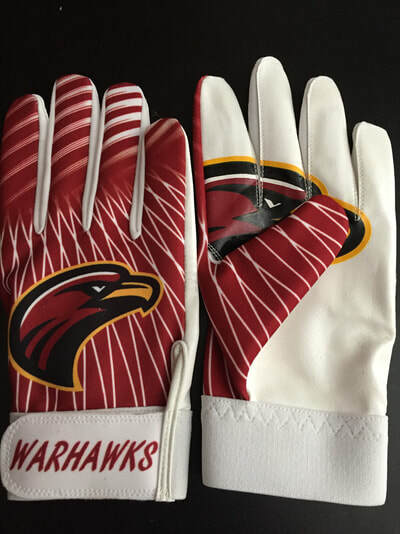 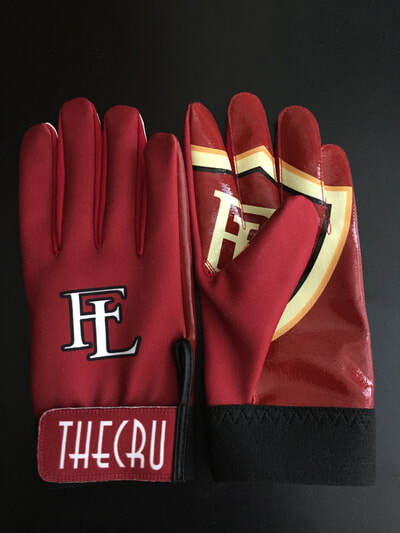 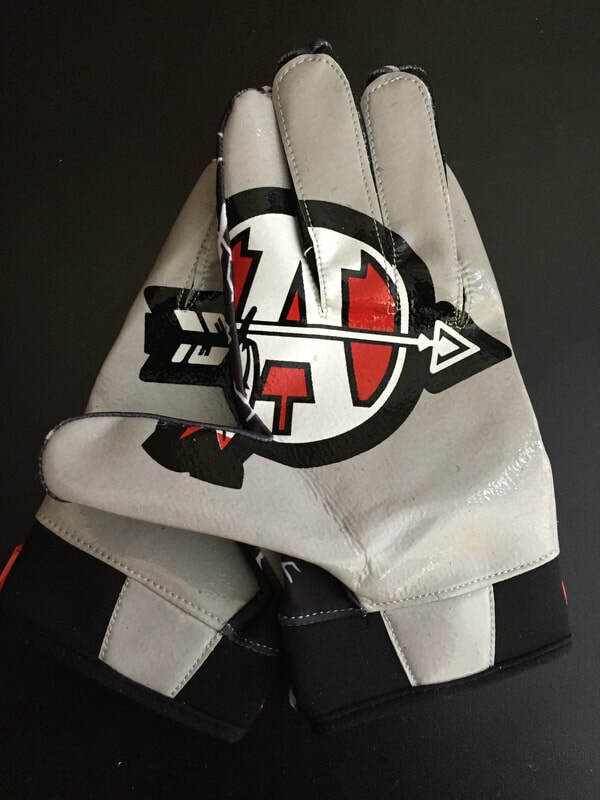 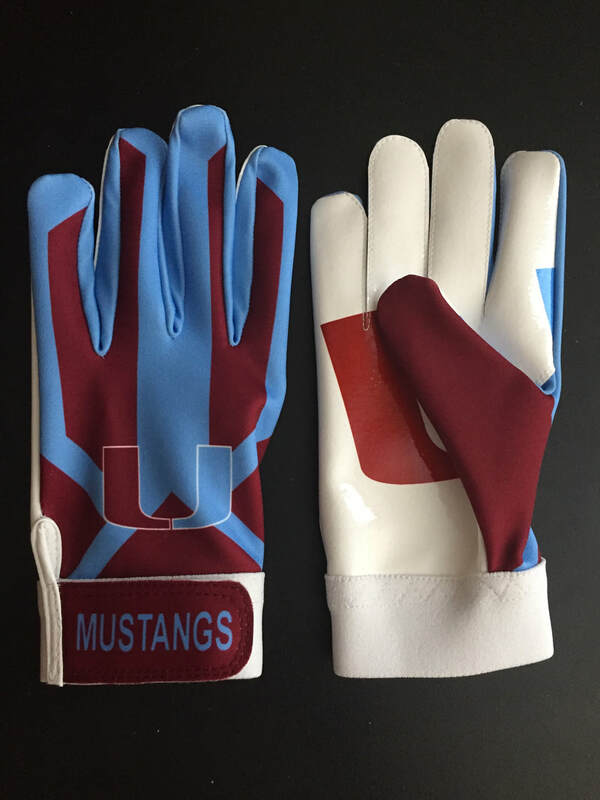 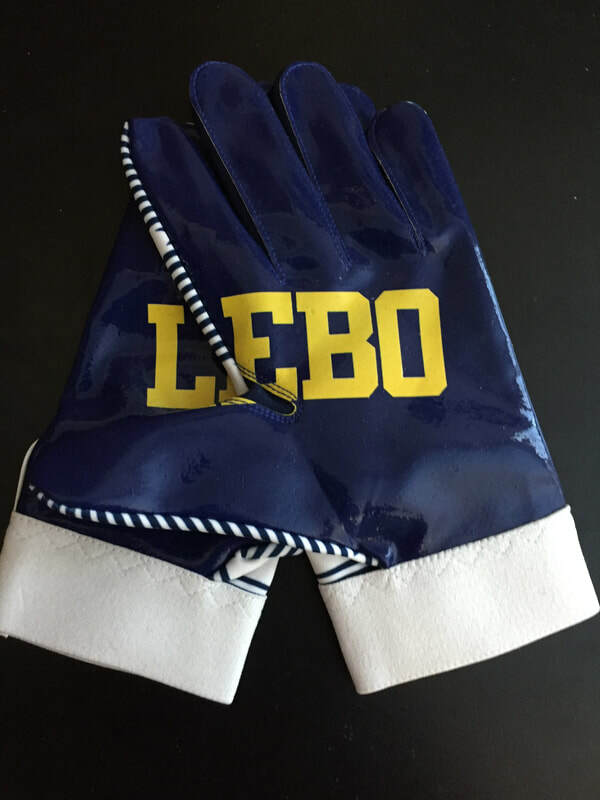 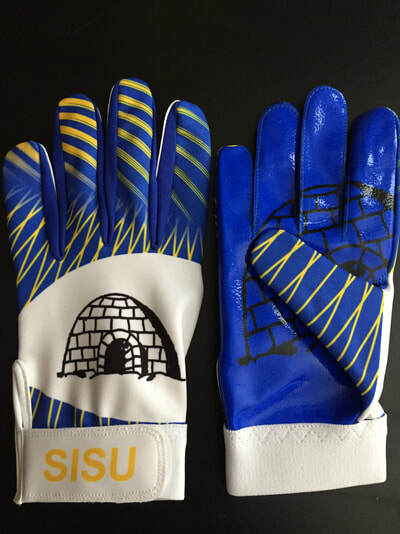 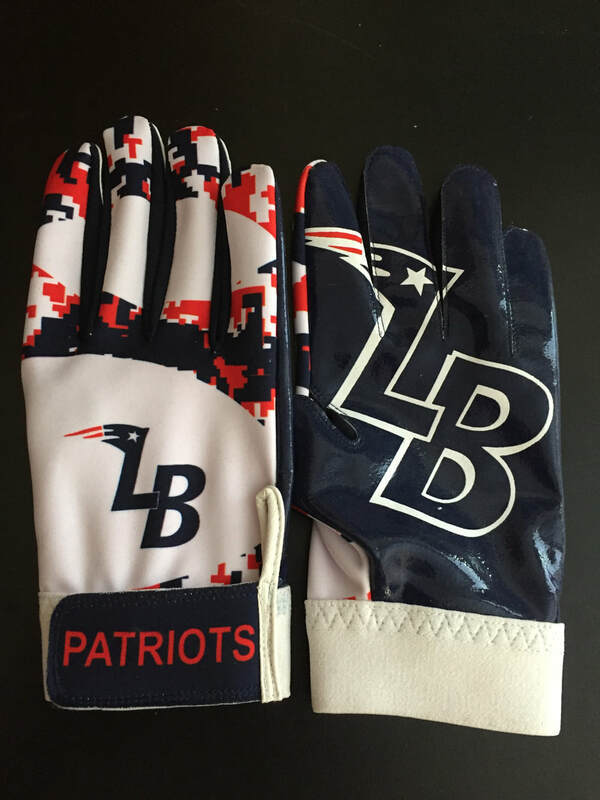 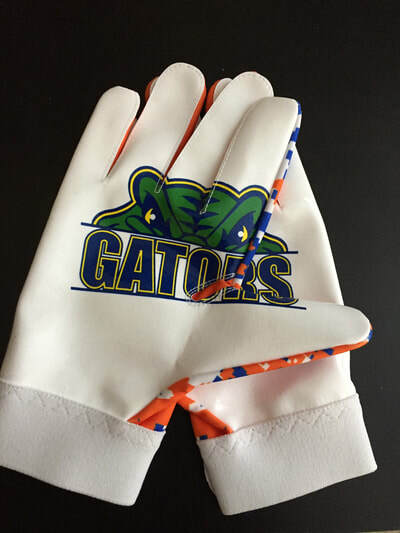 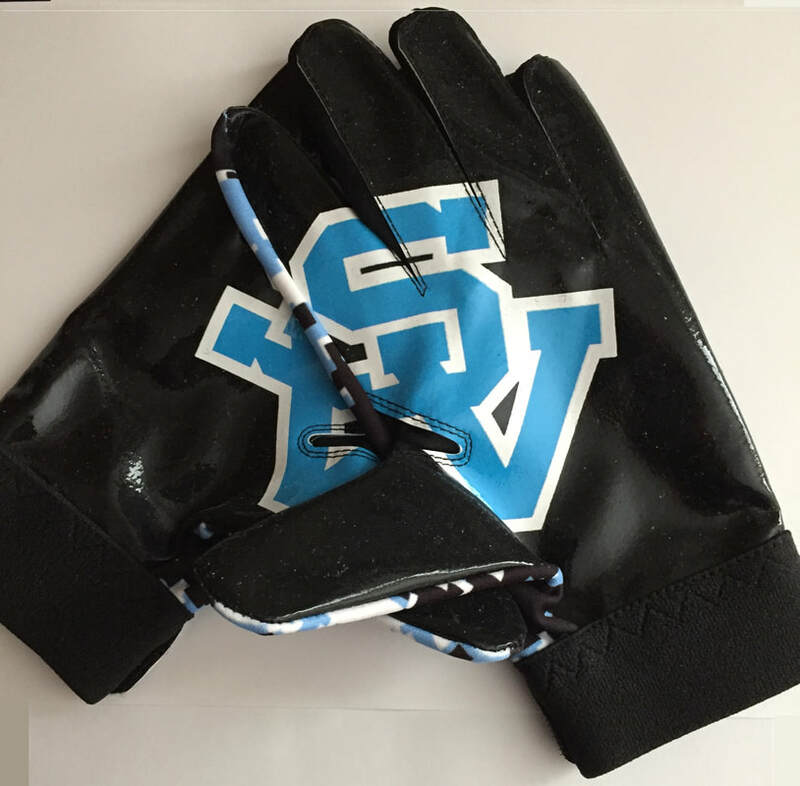 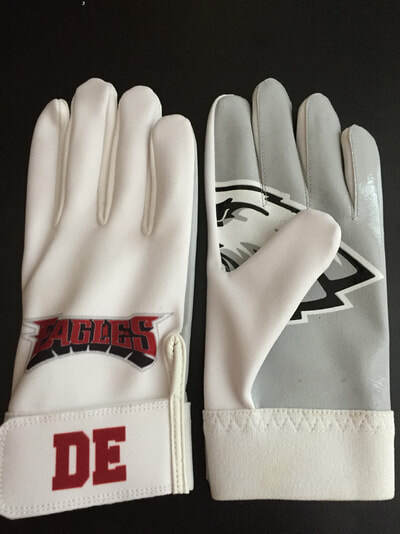 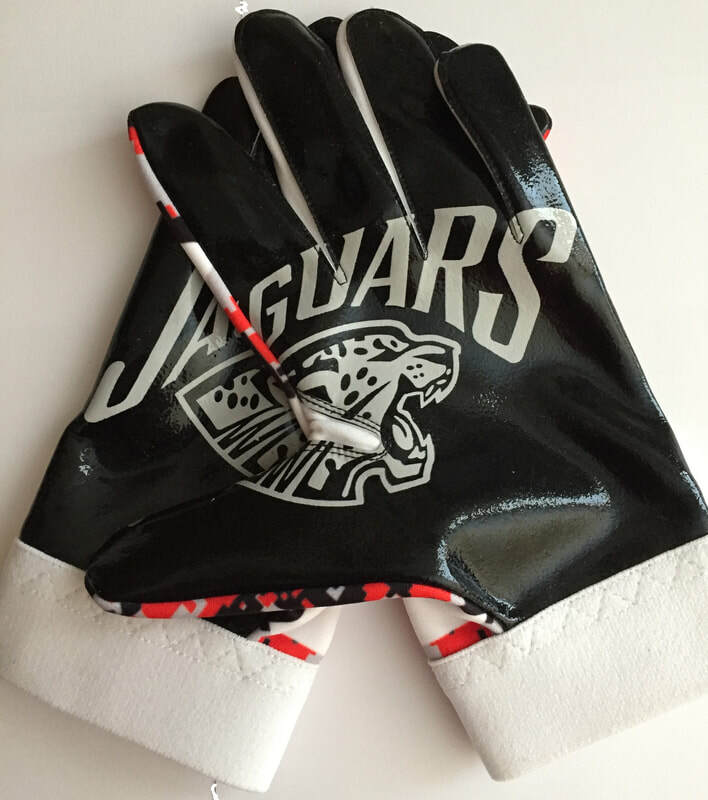 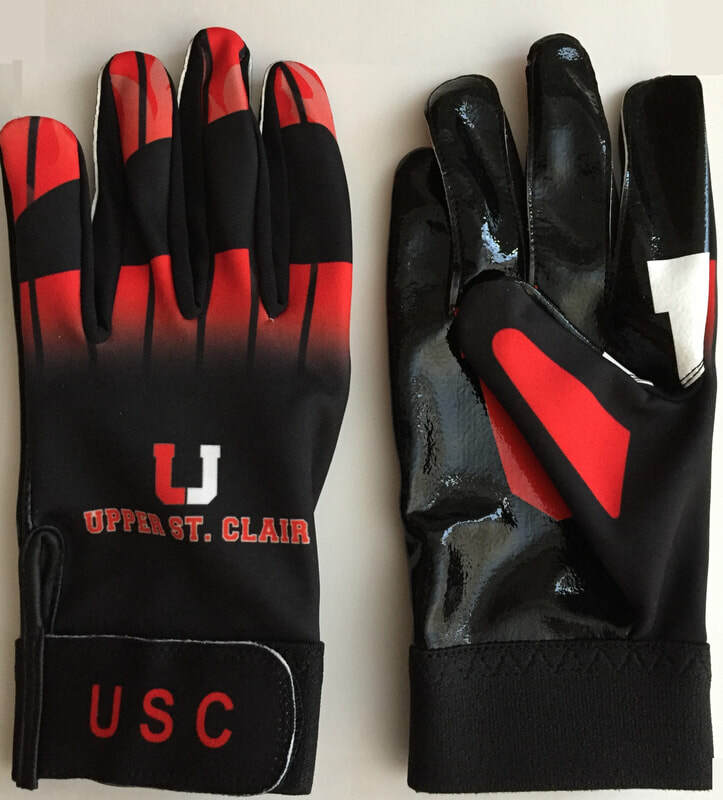 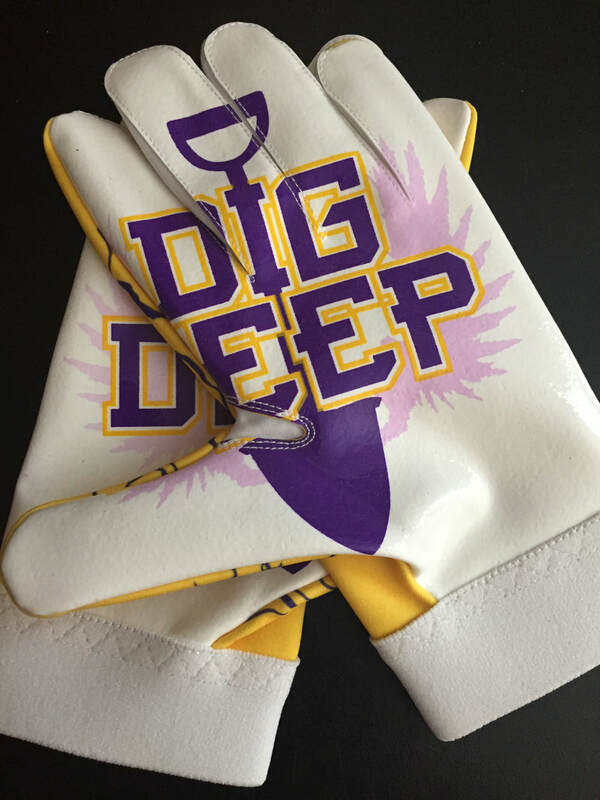 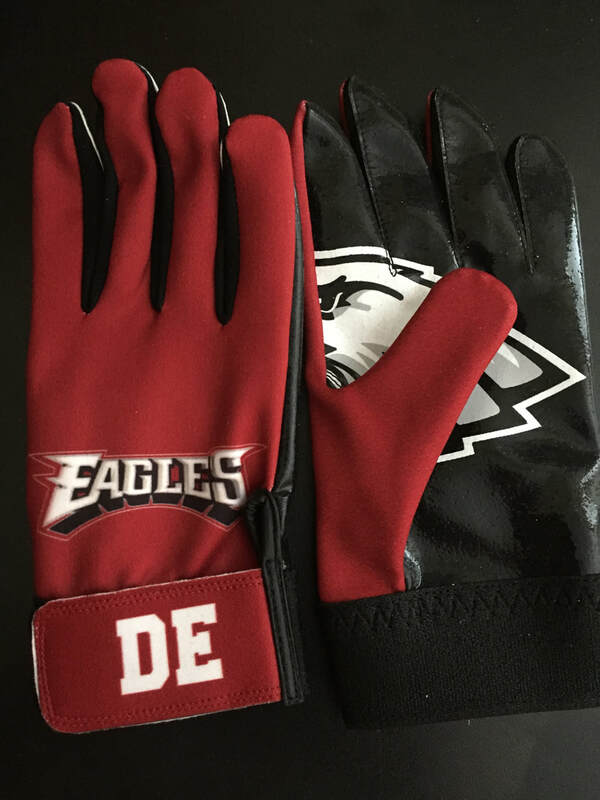 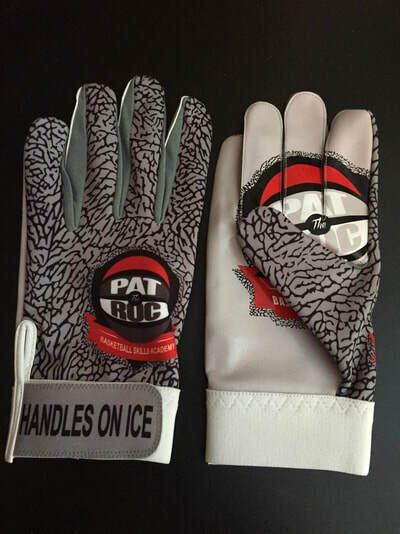 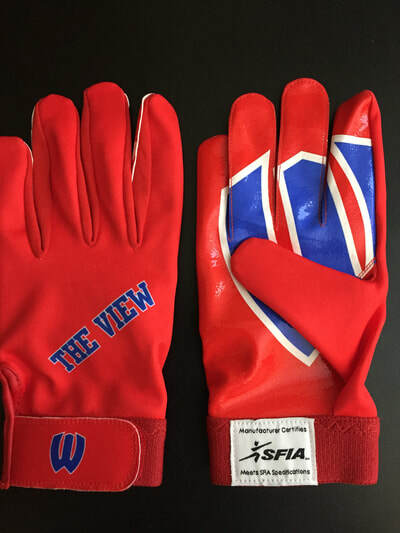 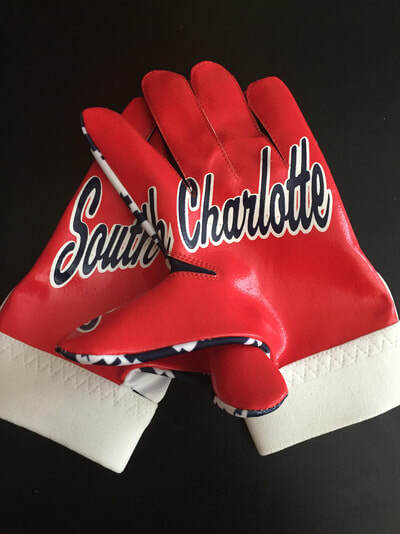 Click here to have us create a complimentary digital mock-up so you can see how your gloves will look! 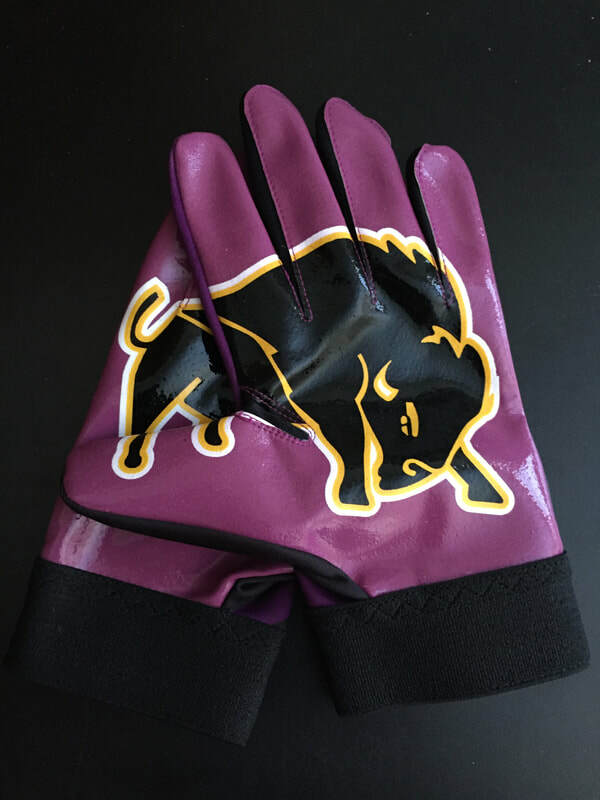 Use our handy color guide to match your team colors perfectly. 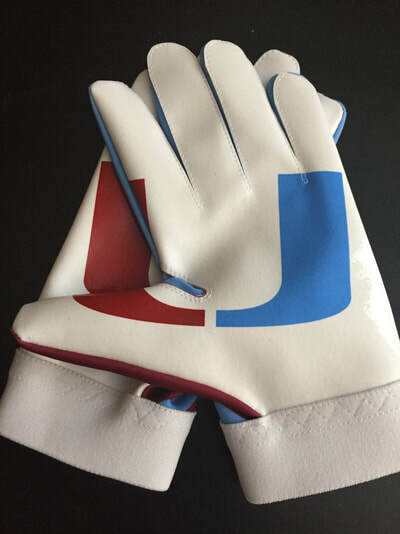 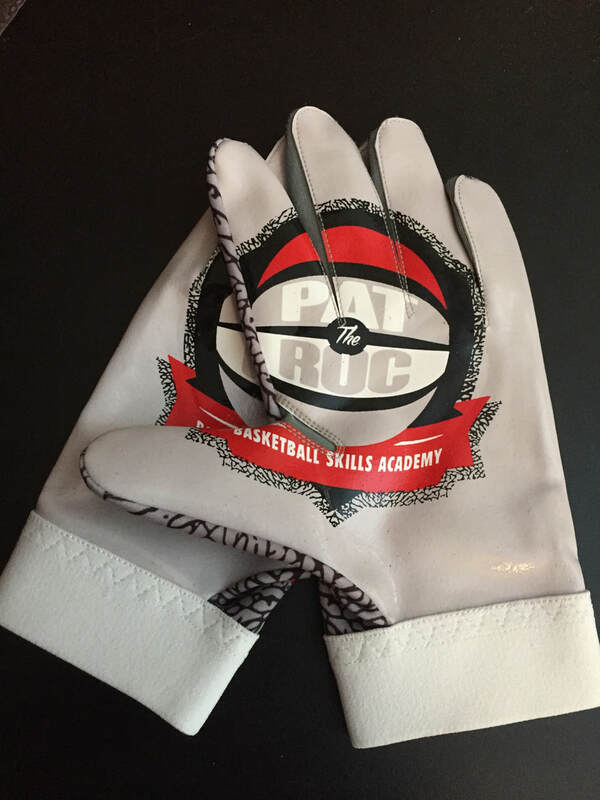 Contact us to get started on your glove order! 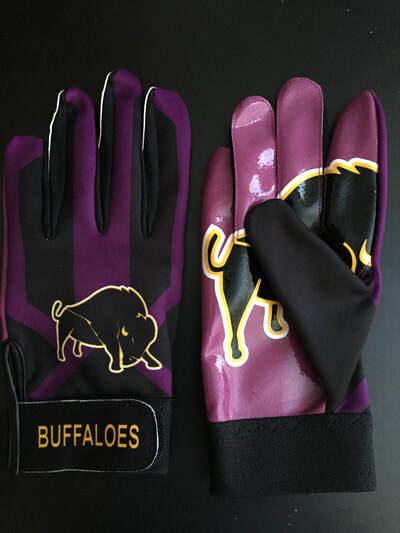 Minimum order only 25 pair!